Our creamy chocolate packed with roasted walnuts. The Deluxe Holiday Tower is our sweetest gift yet.! These delicious items are offered in a gorgeous tower of boxes that are sure to impress anyone on your list. Our supply is very limited so be sure to order soon! This Holiday flavor has been such a hit that we are offering it all year - Red Velvet! Delicious creamy layers meet rich, velvety layers... topped with cookies. Our physical store is open daily in the Summer from 11am - 11pm and you can always order here online! We pride ourselves on our delicious hand made butter and cream fudge. 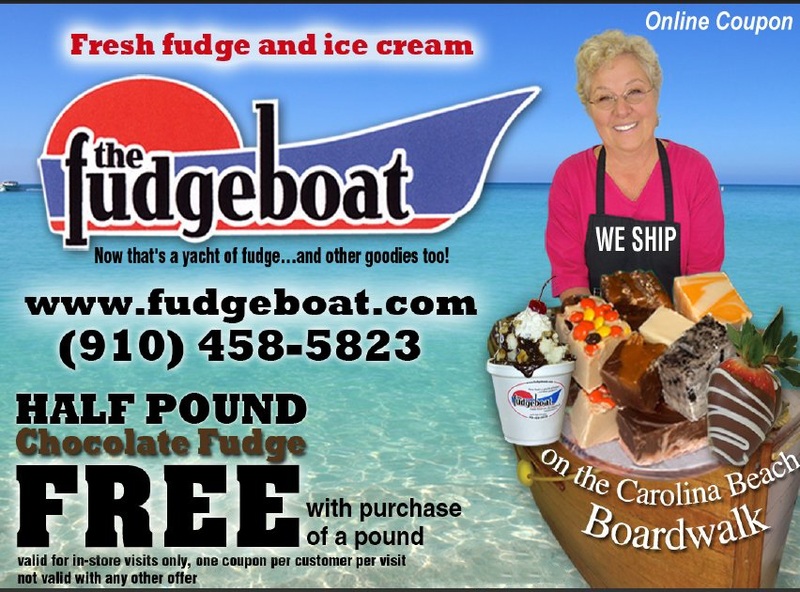 This website is our way of giving you an opportunity to share a taste of Carolina Beach with your family and friends (or just order some for yourself!). Check out 0ur video and don’t forget to check out our holiday gift page. We make shopping for your family, friends, and clients quick and easy. If you have a large or complicated order, feel free to email us at /.